FILE - In this June 5, 2017, file photo, a worker stacks merchandise outside a Walmart in Salem, N.H. Walmart is boosting its starting salary for U.S. workers to $11 an hour, giving a one-time $1,000 cash bonus to eligible employees and expanding its maternity and parental leave benefits. The retailer said Thursday, Jan. 11, 2018, changes to its compensation and benefits policy will impact more than a million hourly workers in the U.S., with the wage increase effective next month. The Sam’s Club in Lima does not appear on lists of those closing. NEW YORK (AP) — Walmart confirmed Thursday that it is closing dozens of Sam’s Club warehouse stores — a move that a union-backed group estimated could cost thousands of jobs — on the same day the company announced that it was boosting its starting salary for U.S. workers and handing out bonuses. The world’s largest private employer said it was closing 63 of its 660 Sam’s Clubs over the next weeks, with some shut already. Ten are being converted into e-commerce distribution centers, according to a company official who spoke on condition of anonymity because he was not authorized to discuss details of the decision publicly. 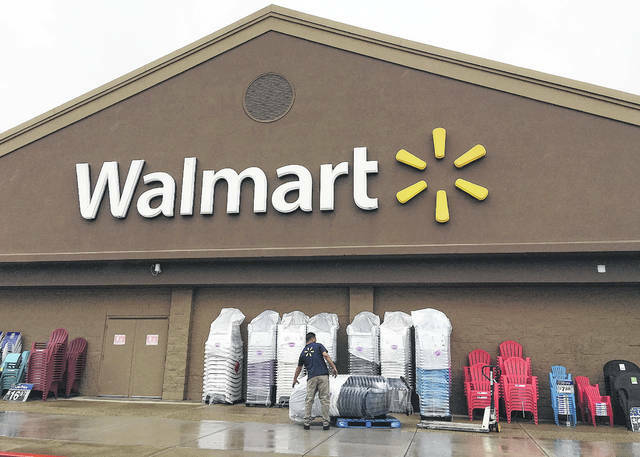 He said it was too early to say how many people overall would lose their jobs since some will be placed at other Walmart locations or rehired at the e-commerce sites. Making Change at Walmart, a campaign backed by the United Food and Commercial Workers International Union, estimates that 150 to 160 people work at each Sam’s Club store, meaning the closures could affect about 10,000 people. Online retailers typically pay warehouse employees who pack and ship orders more than store jobs pay. Job postings at an Amazon warehouse in Ohio, for example, offer a starting pay of $14.50 an hour. It joins dozens of companies including American Airlines and Bank of America that have announced worker bonuses following the passage of the Republican tax plan that slashed the corporate tax rate from 35 percent to 21 percent. “Tax reform gives us the opportunity to be more competitive globally and to accelerate plans for the U.S.,” Walmart CEO Doug McMillon said Thursday. Walmart also announced that full-time hourly U.S. employees can get 10 weeks of paid maternity leave and six weeks of paid parental leave. Before, full-time hourly workers received 50 percent of their pay for leave. Salaried employees, who already had 10 weeks paid maternity leave, will receive more paid parental leave.